Founded in 1917, by J. W. Higman, a pharmacist from Orange, Texas, and a partner Louis Smaihall, formed Higman Towing Company. To transport logs on the Sabine River to a lumber mill in Orange, Texas. As well as water to various locations throughout Louisiana. In 1953, Higman acquired three boats, and ten barges. This made up the entire marine fleet of the former Pan American Refining Company. Throughout the 1960's to the 1990's Higman continuously kept modernizing its flee, by adding new boats and barges. In 1992, Higman celebrated its 75th year by christening the industry's first crude oil tows fully constructed to comply with all requirements of the Oil Pollution Act of 1990. In 1997, Higman acquired Maryland Marine Incorporated of Houston, Texas. Increasing its operating fleet by 40 percent. 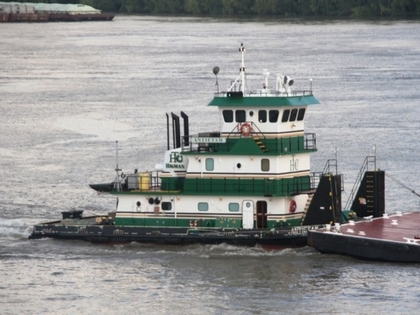 In 2018, Higman Barge Lines was acquired by the Kirby Corporation of Channelview, Texas.